In acute ischemic or hemorrhagic stroke, prophylactic antibiotics reduce the overall infection rate, but do not reduce the risk for pneumonia, death, or dependency. 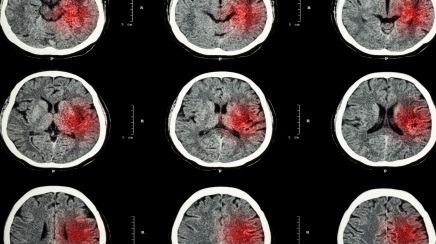 In patients with acute ischemic or hemorrhagic stroke, prophylactic antibiotics reduce the overall infection rate, but do not reduce the risk for pneumonia, death, or dependency, according to a systematic review snapshot published in the Annals of Emergency Medicine’s Review Snapshot series. Infections complicate 30% of strokes, with pneumonia (11%-22%) and urinary tract infection (16%-24%) being the most common. Patient outcomes might be improved by preventing these infections through prophylactic antibiotics. However, these benefits are offset by the risk for anaphylaxis, toxicity to various organs, and colonization by antibiotic-resistant organisms. Therefore, this meta-analysis of 8 randomized trials compared preventative antibiotic therapy with control in patients with acute ischemic or hemorrhagic stroke. Within the 8 studies, 4488 participants were included, with 2230 in the antibiotic group and 2258 in the control group. All participants were adults, and both mean age and mean National Institutes of Health Scales scores were similar between all groups. Six studies had a specific antibiotic and route of administration that were all different, whereas 2 studies deferred to the local antibiotic policy. All studies included ischemic strokes, whereas 2 studies also included hemorrhagic strokes. Therapy had to be started within 24 hours after the onset of stroke in patients without infection at presentation. Prophylactic antibiotics were associated with lower risk for overall infection (risk ratio [RR], 0.71) and urinary tract infection (RR, 0.40), but not other specific infectious processes such as pneumonia or mortality (RR, 0.95 and 1.03, respectively). Therefore, the preventative antibiotic therapy is not recommended as a therapeutic option for acute stroke. The quality of evidence was high; however, the studies were heterogeneous: for 2 of the 8 studies, risk for bias was considered to be high for 3 of 6 criteria.